Host-specific Nod-factors Associated with Medicago truncatula Nodule Infection Differentially Induce Calcium Influx and Calcium Spiking in Root Hairs. 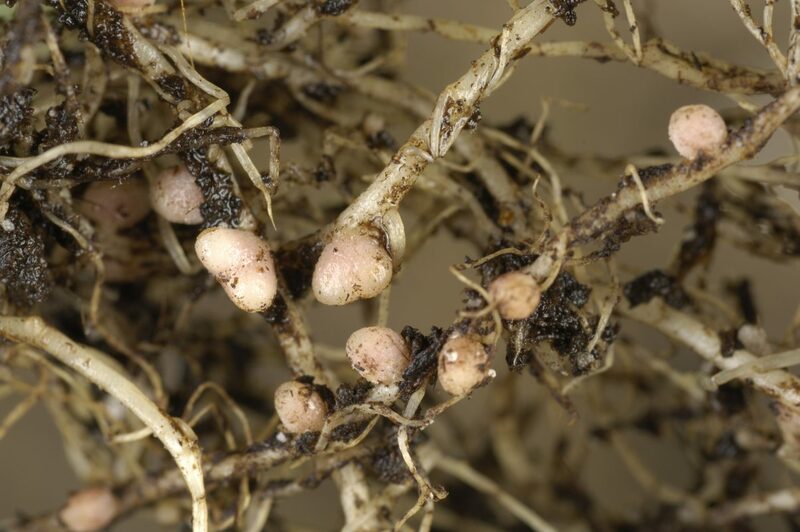 Rhizobial nodulation (Nod) factors activate both nodule morphogenesis and infection thread development during legume nodulation. Nod factors induce two different calcium responses: intra-nuclear calcium oscillations and a calcium influx at the root hair tip. Calcium oscillations activate nodule development; we wanted to test if the calcium influx is associated with infection. Sinorhizobium meliloti nodL and nodF mutations additively reduce infection of Medicago truncatula. Nod-factors made by the nodL mutant lack an acetyl group; mutation of nodF causes the nitrogen (N)-linked C16:2 acyl chain to be replaced by C18:1. We tested whether these Nod-factors differentially induced calcium influx and calcium spiking. The absence of the NodL-determined acetyl group greatly reduced the induction of calcium influx without affecting calcium spiking. The calcium influx was even further reduced if the N-linked C16:2 acyl group was replaced by C18:1. These additive effects on calcium influx correlate with the additive effects of mutations in nodF and nodL on legume infection. Infection thread development is inhibited by ethylene, which also inhibited Nod-factor-induced calcium influx. We conclude that Nod-factor perception differentially activates the two developmental pathways required for nodulation and that activation of the pathway involving the calcium influx is important for efficient infection.